What is Neural Dust? What are Brain-Machine Interfaces? Dr. Maharbiz will discuss ongoing research around Neural Dust, including a short tutorial on neural recording so the impact can be appreciated. 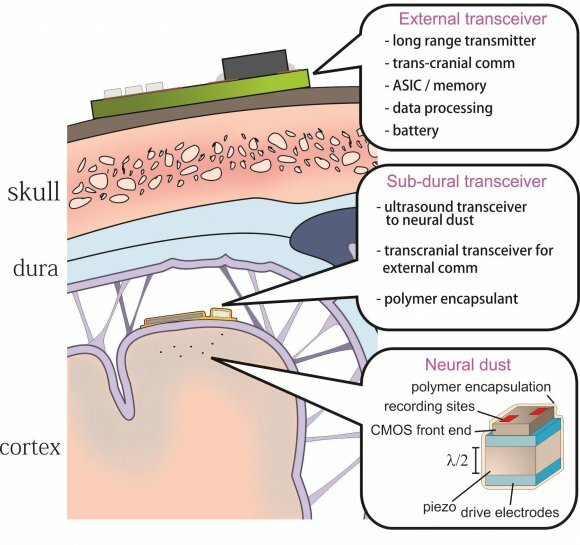 Neural Dust is a concept which aims to develop a tetherless method to remotely record action potentials from the mammalian cortex. Join us to hear about the latest research on this cutting-edgy technology. Michel M. Maharbiz is an Associate Professor with the Department of Electrical Engineering and Computer Science at the University of California, Berkeley. 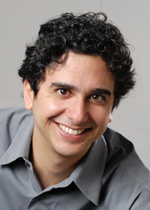 Prof. Maharbiz is a Bakar Fellow and was the recipient of a 2009 NSF Career Award for research into developing microfabricated interfaces for synthetic biology. His group is also known for developing the world’s first remotely radio-controlled cyborg beetles. This was named one of the top ten emerging technologies of 2009 by MIT’s Technology Review (TR10) and was in Time Magazine’s Top 50 Inventions of 2009. Dr. Maharbiz has been a GE Scholar and an Intel IMAP Fellow. Professor Maharbiz’s current research interests include building micro/nano interfaces to cells and organisms and exploring bio-derived fabrication methods. Michel’s long term goal is understanding developmental mechanisms as a way to engineer and fabricate machines.